Why would I need self storage in San Gabriel, CA? There are a variety of reasons why you might need self-storage in San Gabriel, CA. How much is a storage unit in San Gabriel, CA? The cheapest storage unit in San Gabriel, CA is $84.00 per month. What size storage units do you have available in San Gabriel, CA? In San Gabriel, CA we have sizes that range from 5'x5' to 20'x20' to suit your storage needs. How much is it for a 5'x5' storage unit in San Gabriel, CA? The cheapest 5'x5' storage unit in San Gabriel, CA is $84.00 per month. San Gabriel is a vibrant city in California, located a mile east of Alhambra and 8 miles east of Los Angeles. One of Los Angeles County's first townships, it was named after one of California's original Spanish Missions, Mission San Gabriel Arcangel, which was built on the site. The city is home to an ethnically diverse population that features a large number of Asian and Hispanic residents. San Gabriel's Mission District and Historical Museum honor the area's past, while contemporary additions like San Gabriel Square mall and multicultural Valley Boulevard have helped modernize the area. The area where San Gabriel now sits was originally home to the Tongva people. In 1771, Spanish missionaries built Mission San Gabriel Arcangel on the land. Today, the mission is a California Historical Landmark. Missionaries set about converting Mexican settlers to Christianity and baptized many of them on the site. The local economy was built on agriculture, but much of the original farmland has been converted into residential areas. San Gabriel was officially incorporated in 1913 and has continued growing ever since. San Gabriel has a strong and growing economy, thanks to its diverse business base. The majority of San Gabriel's businesses and retail outlets are located along Valley Boulevard, San Gabriel Boulevard and Las Tunas Drive. 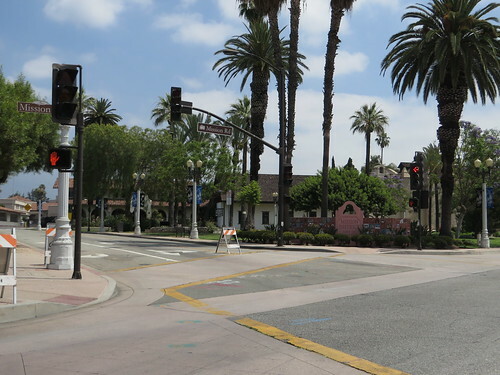 In addition, commercial areas in San Gabriel Village, Del Mar at Angelino, San Marino & Hermosa and the Mission District provide plenty of job opportunities in the area. If you're considering joining the local job market, you'll find a number of retail jobs in these and other shopping districts. San Gabriel's unemployment rate is below the national average, and the city boasts an impressive job growth rate. This is good news if you are going to be job hunting in the city. You'll find that San Gabriel offers a number of jobs in management, business, finance, production, transportation and material moving. The San Gabriel Unified School District is responsible for the public schools of the city, with grades ranging from kindergarten to grade 12. There are several private schools within the area as well, including secular, Montessori and parochial campuses. Utilities: San Gabriel's main energy suppliers are Southern California Edison and Southern California Gas. The County Water District manages the public water system. Garbage and Recycling: Your trash and recyclables will be collected curbside on a regular basis. Transportation: Public transportation in the area includes the Metro, the city of Montebello bus line and Metrolink. If you're planning to use a personal vehicle in the city, keep in mind that parking permits are required in many areas. San Gabriel is a fairly expensive city in the Los Angeles area, with a median home price that rises slightly above the metropolitan area's average. Like many California cities, San Gabriel has a higher cost of living than in many other parts of the country. However, a variety of options makes it easier to find something that fits your needs. Our lowest priced units in San Gabriel, CA average $84.00 per month. 62 people have reserved units in San Gabriel, CA in the past 30 days. There is 1 location within San Gabriel, CA's city limits.